If you are trying to build your business online your level of success is depends on whether or not you practice proper social media etiquette, or the do’s and don’ts of online social media marketing. 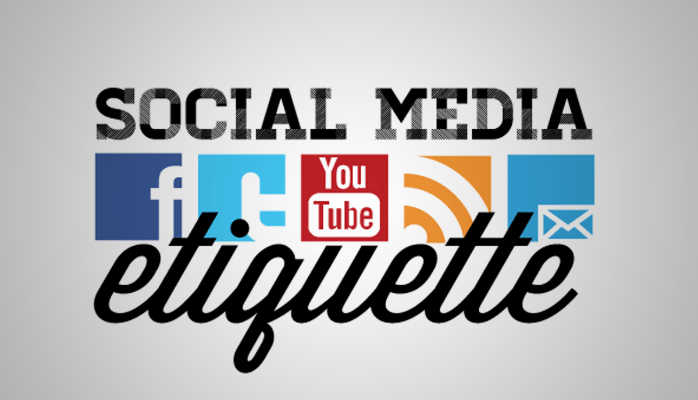 Social media etiquette consists of certain rules conduct for social interaction and content postings. These are the do’s and don’ts on social media that will greatly influence your level of success in building your business online and through social media. Social media marketing is about attraction marketing. What you put out there will come back to you. People are there to socialize, not pitched and sold to. Pitching and posting on your social media platform is called spam. If you wouldn’t do it in person, don’t do it on social media. Social media is a news feed format. News today is forgotten in a couple days. However, if you wouldn’t want your post on the front page of a magazine or newspaper, don’t share it on social media. People are there to socialize. Get engaged and socialize with the people you want to attract to you. Build these relationships. It’s when you build the relationship with personal 1 on 1 communication that you can learn your friend’s needs and problems. Once you identify their problem, then you can provide the solution with your products, business opportunity, your trainings or affiliate products. Or, refer them to someone you know can better serve them. Always be respectful. ALWAYS be the professional, the leader. Always remember that people are watching everything you do on the social platform, even if you don’t know who. 1. What you post matters. Think attraction marketing. Everything you do will either attract or repel people to you. You actually want to attract the right people and repel the wrong ones. The right people are those who share your beliefs and values. The wrong ones are the haters, the negative people who bring with them a bad vibration and consistently post things that may be inappropriate or offensive. Attracting the right people to you and building your personal brand means that you are going to have to stand for something. What is that? 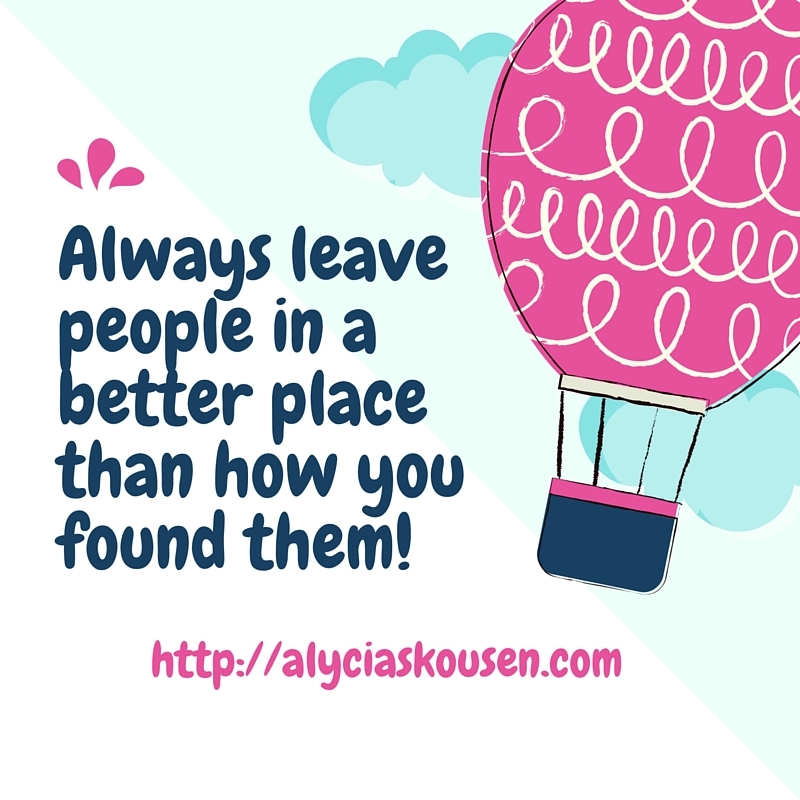 What do you share in common with the people you want to attract? Identify your line in the sand. What are you going to stand for that is going to attract, inspire and edify your target market? You will know if you’re posting the right content by who you are attracting to you in comments and engagement. If you want a different caliber of people following you, post content that will speak to them. Your success will draw in haters. 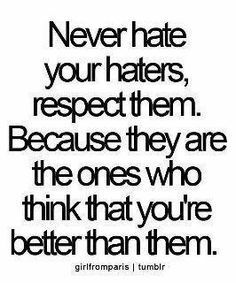 Haters are those posting negative comments in response to what you’re posting. Having and growing haters means that you’re on the right track of success. The more success you have the more haters you will have. Don’t purge your dirty laundry. Sharing dirty laundry creates a negative vibration. Remember you are building your personal brand and holding yourself out as a leader. As a leader people look to you for solutions to problems, not being part of the problem. No politics. Politics is one of those huge no-no’s! People have strong, emotionally feelings and beliefs attached to their political positions. Good people you want to attract may actually unfriend and stop following for sharing a political view or comment contrary to their political beliefs. So just think about your post first and ask yourself how it will impact your audience. Don’t post everything you eat – once in a while is okay. If it’s irrelevant to building your brand or your business, don’t post it. Consider your audience. Before you post anything think about how your audience will feel about your post. Will they appreciate you for your post? Is it something you would want to receive? People don’t want to be “sold”. They are there to socialize not to be pitched with your stuff. Don’t be self-serving. Remember the first rule of marketing – it’s about them not you! The #1 rule of prospecting is to develop rapport to determine their need so you can provide the solution. When you do this consistently people will trust you, be loyal to you and buy from you, eventually. Keep it simple. Leave you audience better than how found them. Inspire and edify your audience. People truly just care about themselves. Share what will benefit them. 2. Negativity: No negativity. No hating on people. Leave people inspired. Exercise and respect the Law of attraction. What you put out there you will attract. If you post negativity, you will attract negative people. Be genuine and spreading positivity. Make your posting of content a good, pleasant experience. Don’t engage in negativity. You will never win when you fight negativity with negativity. Take the higher ground and counteract negativity with positivity. If someone posts something negative, post something positive in response. 3. Rules of tagging: As a general rule do not tag people. Tagging is considered spam for the most part. It can be annoying to the person being tagged. Don’t do it. Photos: Don’t tag people who are not in the picture. Your products and business opportunity: Do not tag people in your posts or those of others related to your products, promotions business opportunity or anything else “sales” related. 4. Credibility and integrity: You always want to give credit where credit is due! This will send good karma your way! Identifies you as a LEADER: You lead by example, exercising proper social and business etiquette. Proper social and business etiquette is to SHARE and GIVE CREDIT to person who provided the original post. Validates your source of influence, mentoring and education. Your source validates you as a professional. Just like employers evaluate your worth based on the college you went to. When people see that you are sharing a post or giving credit to other reputable leaders in your industry, this further validates all the other content you are sharing with your audience. If they learn that You are stealing work from others to make it your own, well, this invalidates you. Creates Your Legacy: Law of attraction, karma and duplication. If you steal from others then expect to be stolen from. If you honor and give credit to others then you will be given proper credit for your work. You want to set the example of proper duplication. People will always do what you do not what you say. Creates Your Genealogy of Leadership. Leaders in business always reference their leaders. Referencing your leaders and mentors authenticates and validates your role as a leader. My industry leaders and mentors and the people I reference in my work include Eric Worre, Ray Higdon, Robert Hollis and others. These people always reference their work and influence to their leaders and mentors who are people like Jim Rohn, Zig Ziegler and many others. Builds Trust Others Have In You As A Leader. The only way you will ever be successful in building a business online is to create an audience who knows and TRUSTS you. People will buy from you and join your business only if they trust you! Your Leaders Will Validate You. When you share the work of others these people will reach out to you and thank you. They will even ask if they can personally help you. This has happened to me so many times! It’s such a wonderful feeling when a leader of mine reaches out and thanks me for sharing their post. The added bonus is when they ask if they can do anything for me. WOW! This is a relationship business! To get the attention of your mentors and leaders you need to share their content! 5. Your profile should be professional: The most important part of your personal branding and building your business online is getting people to recognize YOU. 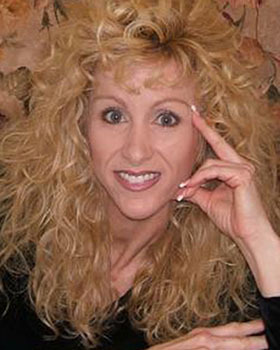 Your featured photo should be a clear head shot of YOU and ONLY YOU. Your featured photo should not be your dog, your girlfriend or something else. Your banner image and text should reflect the message and intent of your brand. Who are you trying to attract? What solutions to the problems of your target market to you provide? Not “private”. You’re open for business. People connect with people. Be a person. 6. Don’t be spammy: People don’t want to be pitched. Social media is a SOCIAL platform, not a selling platform. People don’t care about your business stuff. They only care about themselves and how they can get their problems solved. Be social. Lead with stories. Build curiosity about what you’re doing. Reach out and start a conversation to learn their needs! 7. No Chain Texts! Chain texting is the same as SPAM. Plus, chain texts always contain some unique identifier that the originator will use to gather information about the people participating (forwarding) the text messages. Finally, there are better uses of your time! 8. Interact and comment with your audience: Engage with your audience. Connect and build a rapport with people you share, comment and like your posts. You also need to reciprocate. Go to that person’s page and comment on something they share. Remember, people don’t care how much you know until they know how much you care. 9. Minimize hashtags: Hashtags are overused and have become spammy. Don’t use hashtags in every post. In the posts that you do use them limit to only 1-3 max. 10. Let go of the “ME” syndrome: Stop focusing on your sales, the number of people you need to sign up to make your next rank. People can sense your selfish energy and will not engage with you. Your success is determined by the number of people you help and serve. Instead focus on how you can serve people, how you can bring value to them and how you can edify them. Always be leading them to the next solution. 11. Always Appreciate Your Audience! Every person wants to feel unique, important, significant, appreciated and special. Make them feel that way. If you enjoyed this post, Social Media Etiquette – the Do’s And Don’ts For Success, please retweet, share and/or comment below!